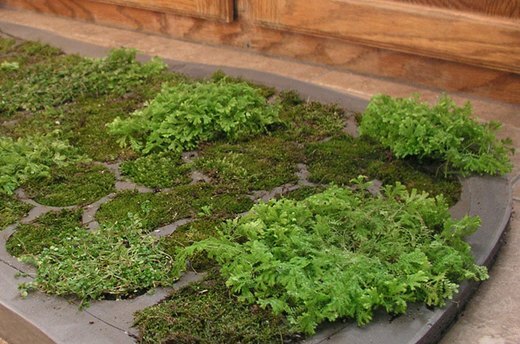 In the spirit of natural living and even being eco-chic, creating your own moss bath mat is a unique craft project. 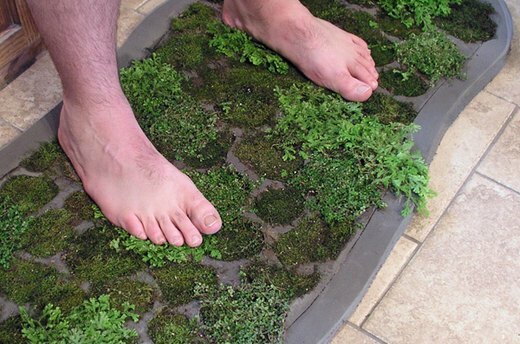 A moss shower mat utilizes live moss to provide cushion and grip for stepping out of the tub or shower. Making your own gives you the opportunity to design your green moss bath mat into any textured design and shape that enhances your bathing environment and gives you bragging rights as well! 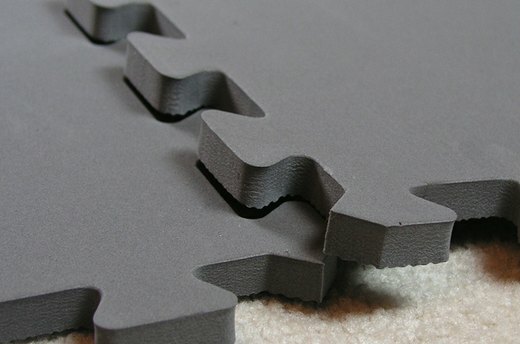 Plastazote foam is available online in rolls 24-by-12 inches, but is also used in floor mat sections available in home improvement stores. 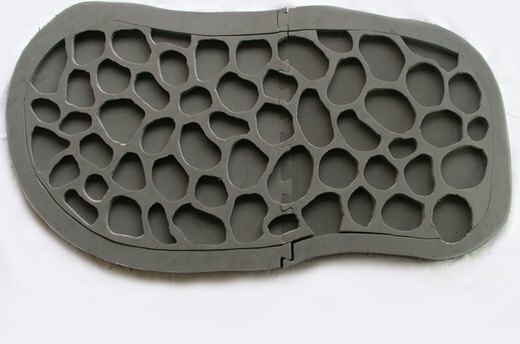 This plastic foam material is ideal for wet-dry use. You will need two layers of mat material. 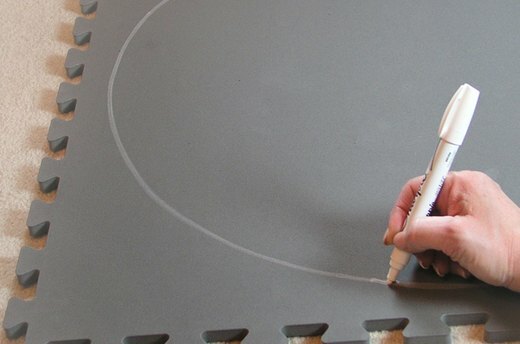 Stack two layers of mat material on a hard surface and draw an organic shape with chalk or white marker. The textured side should be down. Cut through both thicknesses along the marked lines with an X-acto knife. Set aside one layer of material. Draw and cut out shapes throughout the center of the second layer. This material is hard to cut. Take your time and make multiple cuts or try using an electric bread knife or rotary tool. 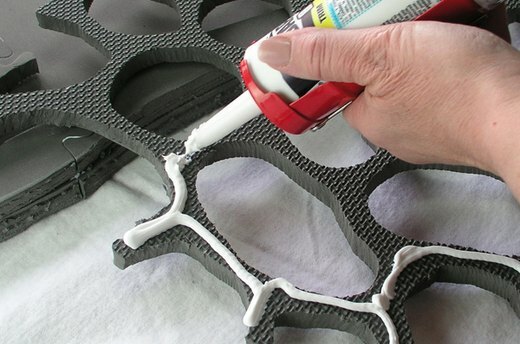 Spread a layer of silicone on the back of the mat with the cut out shapes. (Some silicone comes out white but dries clear.) Press the two pieces together, carefully aligning the edges. This creates a single mat of about 1 inch thick with perfect spaces for filling in with moss. When the silicone is dry, usually after about 3 hours, spray the mat with a fine mist of water. Let this soak in and spray another mist. 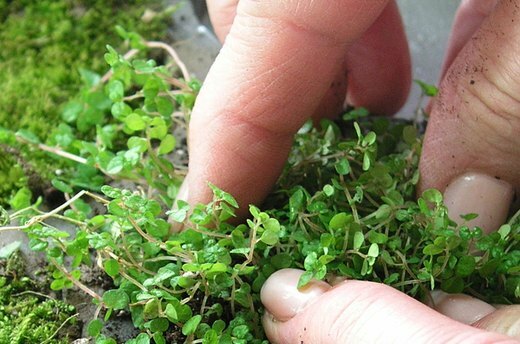 Fill each hole in the top layer of the mat with your own selection of moss plugs, which can be purchased online or from specialty nurseries and gardening stores. Irish moss, Spanish moss and some forms of hardy ground-covers work well. 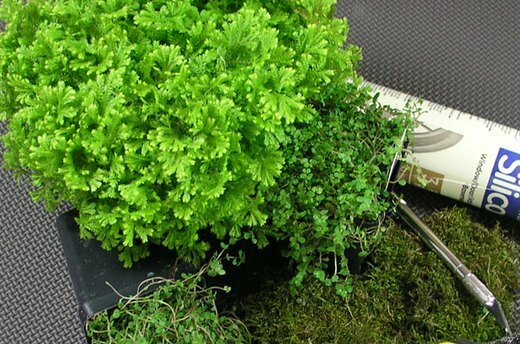 Plant a variety of moss for color interest. Place the mat near your tub or shower as you would any other shower mat. Simply shower and step out on it. The soft, plush moss will absorb the water dripping from your body as you towel off on it. This, in turn, provides the moss with moisture to thrive. 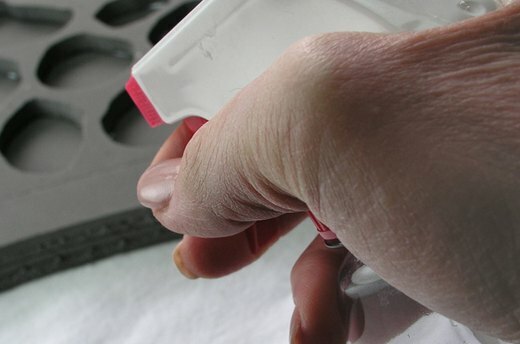 In some cases you might have to add moisture by spraying with water occasionally.